Many businesses are returning to Recruitment Agencies to assist with their recruitment needs. With people at the heart of your business and being one of the most significant investments in your company, businesses are moving towards ‘partner’ relationships between employer and agency. If work with a recruitment agency you are statistically more likely to access the best job-seekers on the market. Your requirements may be very specific. This may cover experience, skill set, industry knowledge etc. You may need an expert who understands your industry and understands the candidates in your niche. Negotiating your own job boards can be costly antime-consumingng. Recruitment consultants can utilise the right job boards specific to your demands. Working with a specialised recruiter leads to a quicker turnaround on filling vacancies, leading to increased efficiency for your organisation. Recruitment consultants are experts at what they do. Every client has an ethos within their company, by spending time with their client they in turn will understand their ethos and be able to find the right candidate to fill their criteria. This will probably involve skill set, experience in a chosen field and just as important is personality and fit. Before sending over CV’s, all candidates will have been pre-interviews at length to find out what they are like on a personal level, enabling the recruitment company to offer the best service possible. 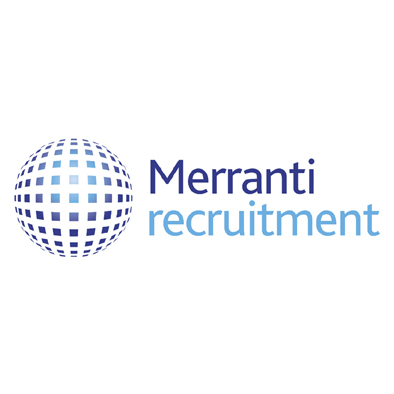 At Merranti Recruitment you will receive continuity and a professional level of Customer service always. We deliver the highest calibre of staff by networking and utilising research facilities to fill even the hardest of roles. By being passionate about our role, we are passionate about yours, enabling us to deliver outstanding results leaving you to make informed decisions.